In the 1965 musical, The Sound of Music, a smiling Captain Georg von Trapp tells his 16 year-old daughter Liesl, “No,” when she sheepishly asks him “I’d like to stay and have my first taste of Champagne.” I was barely a teenager when I saw the blue-eyed Liesl posing this question to her father, but this scene has always stayed with me. This was about the first time I had my first sip of Champagne as I stole a glass that my parents had poured. All I can remember is they smiled and toasted a lot when they drank it. What is it about Champagne? Its magic and allure, what does it mean to different people? Whether it merely tickles your nose or tantalizes the palate, everyone has a slightly different spin on one of the most iconic beverages in the world. When I started as a young wine professional, I had heard so much about Dom Pérignon that I could not wait to try it. As my career grew, I went onto Krug Grande Cuvée, Bollinger Grande Année, Louis Roederer Cristal, Veuve Clicquot La Grande Dame and the like, but only as a member of the trade. My realistic budget keeps me at the non-vintage level. The story of Champagne is enormous and complex. Long-time wine writer Ed McCarthy writes, “All great Prestige Cuveés demand 15 to 20 years of aging. Drink them young and you’re wasting your money.” While Mr. McCarthy can savor his old cellar treasures, we normal folks must make do with the beauty of non-vintage bruts and perhaps once in a while trek into the land of the sublime. Non-vintage brut Champagne runs the show and defines each house’s style. I drink them fresh and zingy. If I am certain that the wine has just arrived then I may give it two to three years of bottle age. While I enjoy my red wines (cabernets, pinot noirs, zinfandels, red blends, etc. ), I never get bored with a glass of Champagne. The aforementioned special offerings are wines that one must age. Over time, they will lose their vitality and gain incredible complexity that one can only experience from the terroir of Champagne, about an hour’s drive from Paris. When Dom Pérignon is in its youth, it is elegant and refined. Generally not overtly yeasty, it is always enjoyable. As it ages, it changes and often becomes wonderfully complex and the rules of engagement change. Instead of merely toasting a great moment, the Champagne becomes a spectacular foil for the most imaginative chefs around the world. 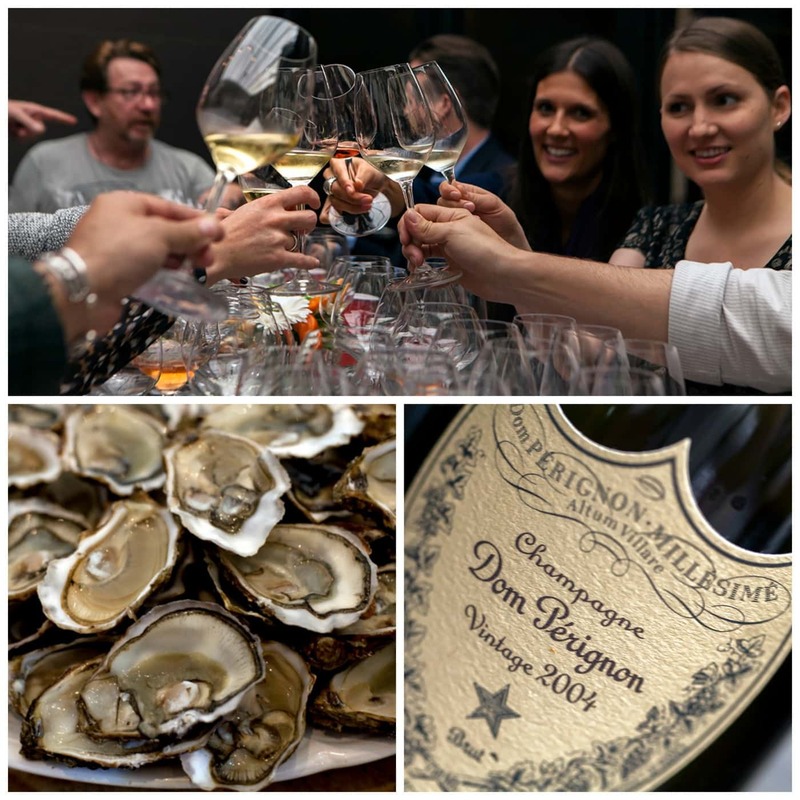 The 2004 Dom Pérignon is really fine and already shows core fruit, sweet earth and wild mushrooms in its flavors. Time will make this wine even better. I recommend patience of at least 10 years. When I was a teenager, I drank my first Champagne. Now as an old wine guy, I savor an old bottle just as I would aged Bordeaux, Burgundy or other classic still wines.